The DOOGEE Y7 Plus smartphone offers a good overall experience for everyday use thanks to its mainstream SoC, the enough RAM quantity 6GB and the 64GB of included storage for taking quite a bit of photos. At the time of the review, the latest software version was 8.0 and did pack the Android security patch level from 5th of October. The 6.18'' screen packs a 2246x1080 resolution, is enough bright during use outside, while the included bottom speaker can deliver decent, enough loud audio. The back shooter offers 2x optical zoom thanks to the wide set of lens, but when using it we must make sure that we will keep the smartphone on a steady surface, otherwise the result will be blurry, low quality. Besides the good looking design of the Y7 Plus, it includes a battery of 5080mAh and its benefits can be observed during normal use. 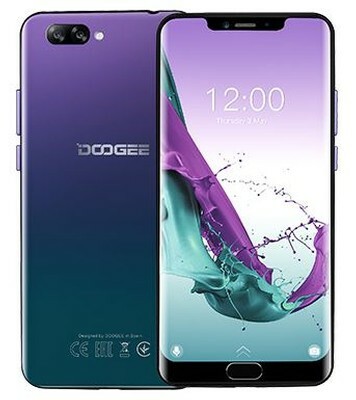 Doogee Y7 Plus Smartphone kaufen.